Welcome to the Darkside of the Mind™ "Where the Candle Flame of Thought Shines it's Brightest in the Dark"
The blog in general is my exploration into the world of Google and the services they offer, trying to use them to my benefit to promote the web presence of Darkside Johnny, which includes my musical experiments, writing efforts, video creations and commentary. I don't always play guitar but when I do I use the Minor Pentatonic Scale. I also create music with the Music Maker Jam app. Videography: I like creating and shooting video. Sometimes I use the YouTube Editor to create videos. 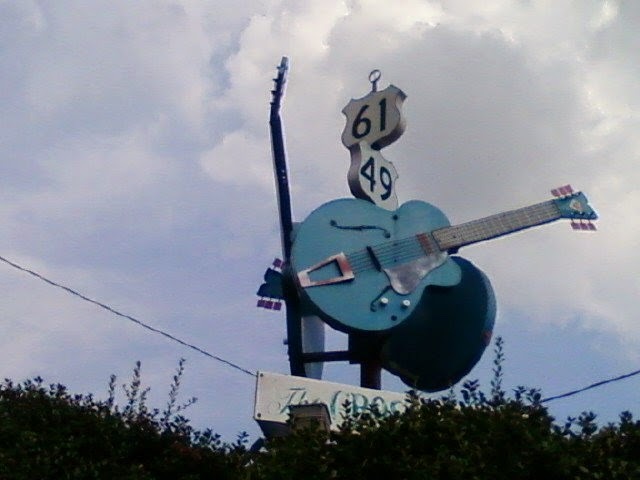 I have also filmed several live performances down in Clarksdale, Mississippi "Birthplace of the Blues" and home to the Crossroads, where rumor is Robert Johnson sold his soul to the Devil to learn how to play guitar and become a Bluesman! I've had the honor of filming many legendary, (and those destined to be so) musicians in various settings such as outdoor festivals, on the street, bars and in the fading scene of the Juke Joint. If I don't have the video, I have some stories to tell. It seems like I've always enjoyed the short story. One reason might be because in school I had to begin and finish a story with the class time frame of 45 minutes or so. When I discovered Go Animate! I planned to create a YouTube series based around characters and story lines but Go Animate! went straight business animations, abandoning the fun stuff I had been using, it took everything back to text format. Guess it was meant to be, for now. Feb 2018 This blog sat idle for a few years. Although I knew something special was brewing, exactly what I did not know, but an empty blog is disappointing, so I started posting random stuff and it didn't sit well with me. To unpublish my previous posts will put me in bad standing with Google because I would create dead links. So the "fluff", as I call it, will have to remain. I'm still mulling over whether to post my past projects (mostly music) because I would like one central spot on the web that contains my collection of Internet efforts. What I see for the future, is the story, the Page Rank Wars™.